#337 was raced competitively in New York area for many years. I bought her last year and planned to upgrade her and start racing. My kids and I had so much fun sailing, I never got around to fixing her up. 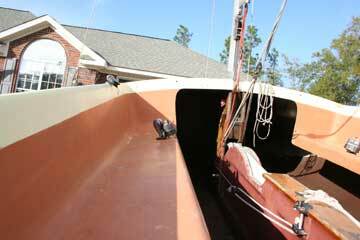 She has a few prior repair areas around the center board trunk that need to be fixed. 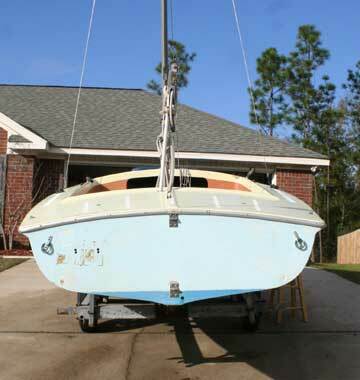 The boat is sailable as is but I think she is ready for a little updating and TLC. 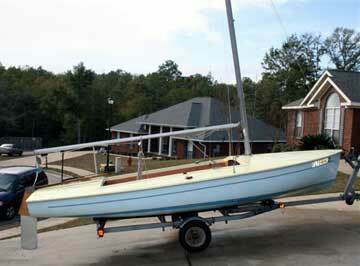 I am selling, because I bought a newer big boat ( something with a cabin for the kids) . Don't let the age scare you, older boat have won the Nationals! Please e-mail me for more information or photos. 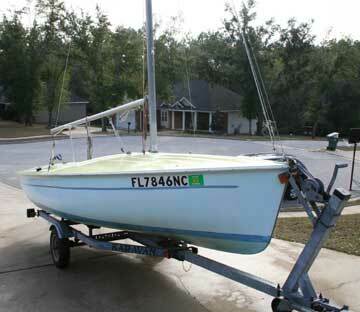 I have a 1994 Mariner 4hp for sale for an additional $500.00 ( Boat will need a motor mount ).